Schneider Electric’s Kevin Self illustrates the future of electrification by describing what it might be like in a coffee shop. Just as consumers today assume they will get Wi-Fi with their latte, those tomorrow might also expect some watts for the car. “You won’t need gas stations except to buy lottery tickets or get milk or beer. 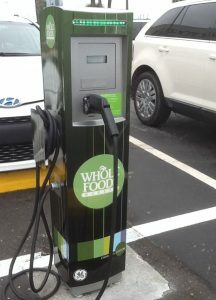 The cars will be charging at your home, place of work, your coffee shop,” says Self, Schneider’s senior vice president for strategy, business development & government affairs. Better yet, maybe your electric vehicle is already charged, and you’ve arrived during a hot afternoon when power demand is high. So as you drink your coffee and work on your laptop, your car makes you some money by discharging power back to the local microgrid. “Smaller and modular — a more adaptable way to deliver electricity,” microgrids meet three priorities that many of today’s customers want — and tomorrow’s customers may seek even more. These involve securing low cost energy, ensuring sustainability or capturing resiliency, according to Self. Depending on their goals, customers may prioritize some of these attributes, but be indifferent to others. A manufacturer might want the microgrid designed to produce low-cost energy. A green leaning organization might sacrifice price for sustainability. A prison, hospital or police station might prioritize reliable power at the expense of both best price or clean energy. 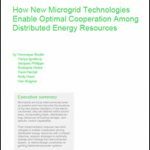 Examining customer preference for these attributes offers a view of how “the evolution or revolution of microgrids will be pushed forward,” he says. Projecting even further into the future, some envision a scenario where you won’t drive your car to the coffee shop, but hail an automated vehicle Uber-style from your cell. Your vehicle will be among those traveling from substation to substation, charging and discharging their batteries as needed by a grid of microgrids. In essence, cars become components of a decentralized electricity system — an on-demand, self-propelling power resource programmed to react based on price, sustainability and resiliency. Of course, integrating the electric and transportation system would require vast and complex engineering, software algorithms, and a total revamping of economic models for both sectors. Are the challenges insurmountable? Some would say so. But Self points out that the same doubts pervaded during early discussions of the cell phone. The idea seemed absurd of embedding space-mission level computing power into a hand-held mobile device affordable to the masses. We have trouble envisioning the full potential of microgrids and electric vehicles because we become so beholden to one world view, we can’t see anything different, Self says. He tells a story of Kodak holding patents for digital photography but keeping them in the vault because they could not imagine the day when cell phones would snap photos for weddings and birthday parties. Quoting Tesla’s Elon Musk, he says the problem arises because we tend to think in a linear fashion, expecting technological progress to occur in a step-by-step way, from 2 to 3 to 4. In fact, industries tend to grow exponentially, he says. 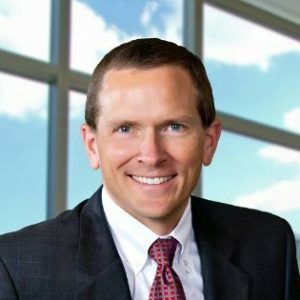 These changes create particularly high stakes for the 3,000 utilities in the United States, given that they function under a business model that revolves around a centralized grid, conceived 100 years ago long before microgrids, electric vehicles or cell phones. Meanwhile, microgrids and electric vehicles continue to grow in use, driving change and leaving utilities — and everyone else — wondering how fast and how far. 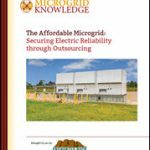 Discuss this article on the Microgrid Knowledge LinkedIn Group.